AlpSun is run by Helen Laundon. Please don't hesitate to contact me regarding the apartements or the area. 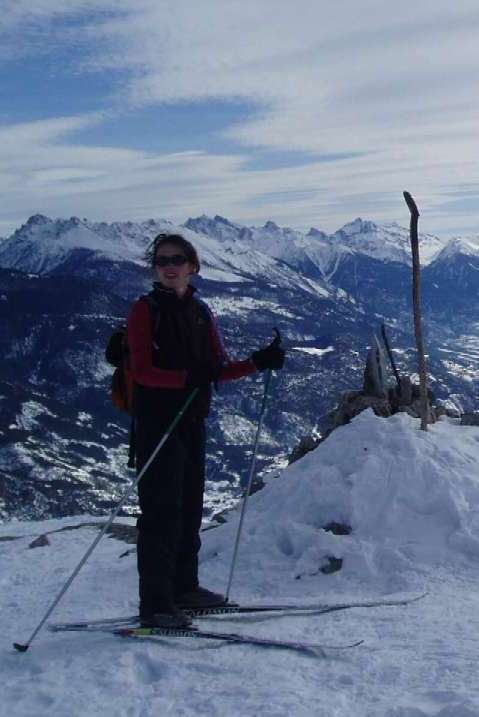 This photo was taken on the summit of the "Têtes" in February 2010, just above Les Vigneaux where the apartments are situated. You can get to this summit on cross country skating or traditional skis or on foot with snow shoes. The 360 degree view is amazing.